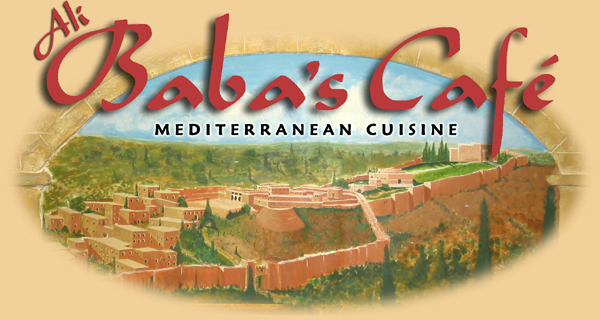 Sit down to a delicious authentic Mediterranean meal served in a relaxed and friendly atmosphere at Ali Baba's Cafe. All dishes are "from scratch" using fresh exotic flavors and healthful preparation. In addition to the popular kebabs and pita sandwiches, the menu features meat, seafood and vegetarian entrees, homemade soups and daily lunch and dinner specials. Carry-out available and credit cards accepted.